Back in September I showed you guys the DIY shiplap wall in Ellie’s new cottage bedroom and quickly fell in love with the direction for her new bedroom. Then in October I gave a little makeover to her nightstand with a cracked patina effect. Sad that it took me 3 months to get back on track but I worked hard past week to finally finish the room. Come on… let’s take a tour! 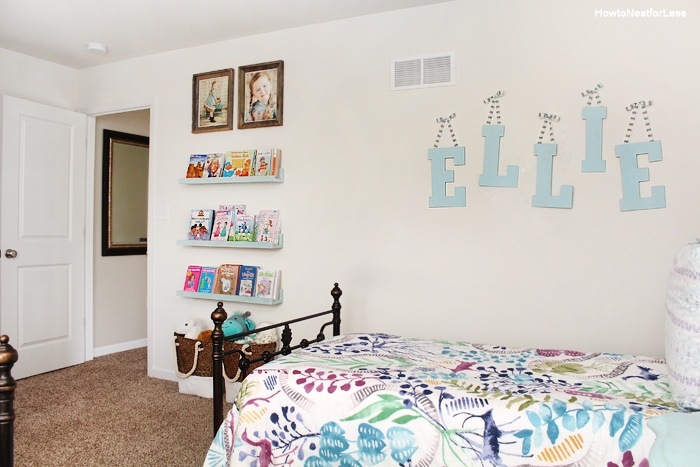 So as I mentioned before, this whole room started when I saw a plank room in a magazine and really wanted to copy it for Ellie’s new bedroom. Then the little lady requested that she wanted blue furniture. I wasn’t about to spend any money on something new so instead we transformed her old nursery set (I just love the lines of her furniture, don’t you?). This past week I finally finished the matching 5 drawer chest and some DIY bookshelf ledges. For her chest, Ellie’s walk in closet causes a little bump out in her bedroom so it was the perfect place to put it. 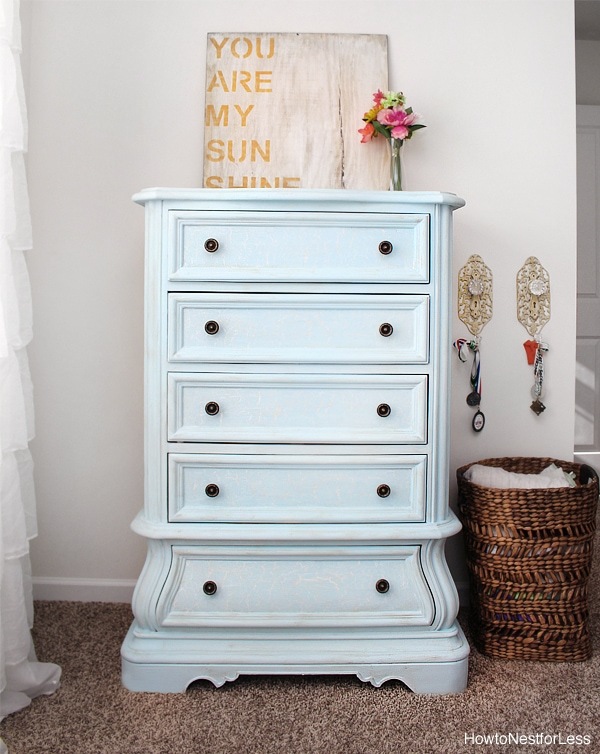 And to paint the chest I used the same technique as her nightstand: cracked patina drawers, dark wax, and new oil rubbed bronze knobs. Sitting next to it is a large basket for her blankets and some hooks for her soccer medals. Just beyond the chest next to her bedroom door are the 3 new bookshelves we built. 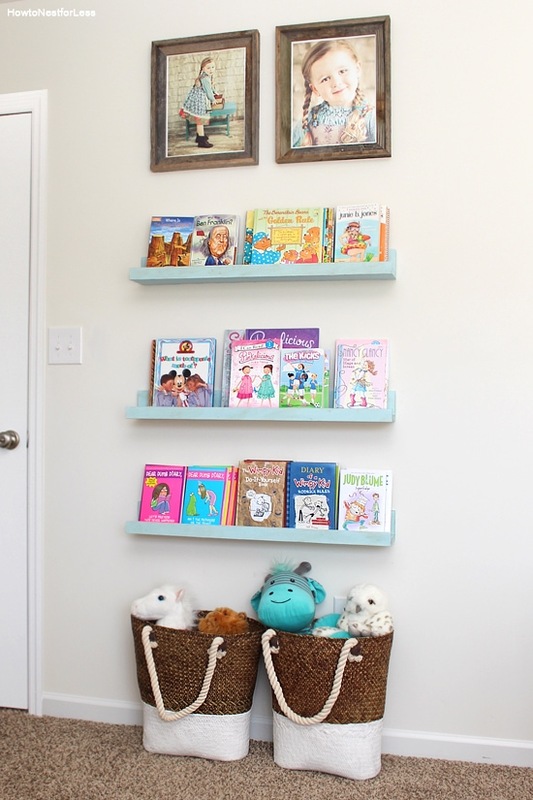 Super easy to make (tutorial coming Wednesday) and all 3 shelves together are holding about 75 books. Since this kid is obsessed with books she wanted a place where she could easily access them… although this is probably only 1/20th of her book collection. The rest will go in the (someday) playroom. Just below the shelves we put some clearance Hobby Lobby baskets that hold her stuffed animals. I liked the handles on them so Ellie can easily tote them around the house. Ellie’s favorite space in her new bedroom is her walk in closet. I showed you guys this space back in November. 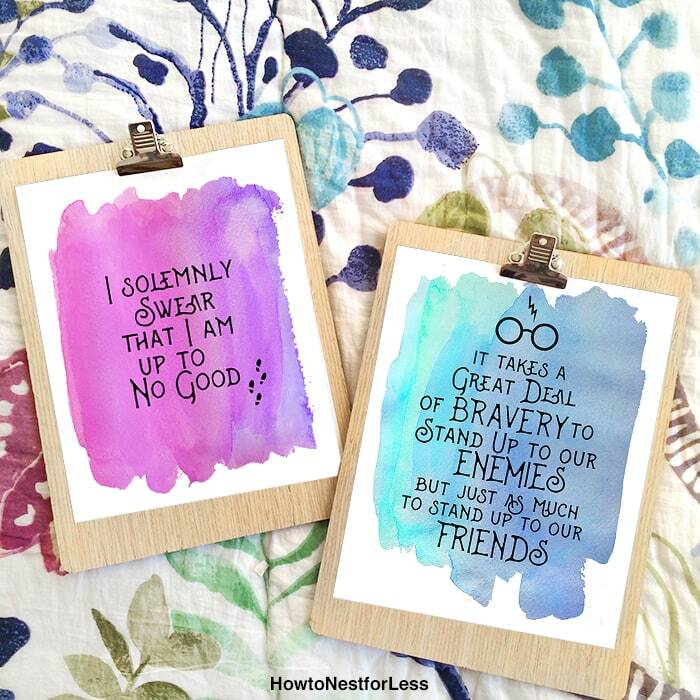 The only minor update is the new Harry Potter printables I made. These are her two favorite quotes that she requested to decorate her walls. We searched high and low online for a printable Ellie liked but everything was so “boyish”… in her words. So I just decided to make my own printables with a cool watercolor background. You can download them here. OK, back to the cottage bedroom… The beds are from Joss & Main and the bedding is from Anthropologie. Unfortunately they no longer carry those quilts. Big bummer. I purchased a curtain rod for her big double window from Ross Dress for Less for about $12 and some ruffle curtains from Amazon. I made the bunting banners myself out of scrapbook paper to bring some color from the quilts onto the walls. Well at least I have one room completely done in the new house! tutorials on some projects from Ellie’s cottage bedroom. This whole room is amazing! I want one for myself, ha! Love the color of the furniture, as well as the bedspreads – so cheerful! We actually carried the basket down last night for movie night so we could each have a blanket! Was easy to throw them all in afterwards and just tote the basket back upstairs. Who knew it would come in handy so fast!? Such a great room. I love how it’s still so sweet but a bit grown up. Has she mentioned missing the stage? Beautiful! Abby wants to do her room soon too! Such a special room with such personality! I love the bright colors. It makes the room so cozy and inviting! Absolutely love this! It’s look like it’s straight out of a magazine, she’s one lucky little lady. 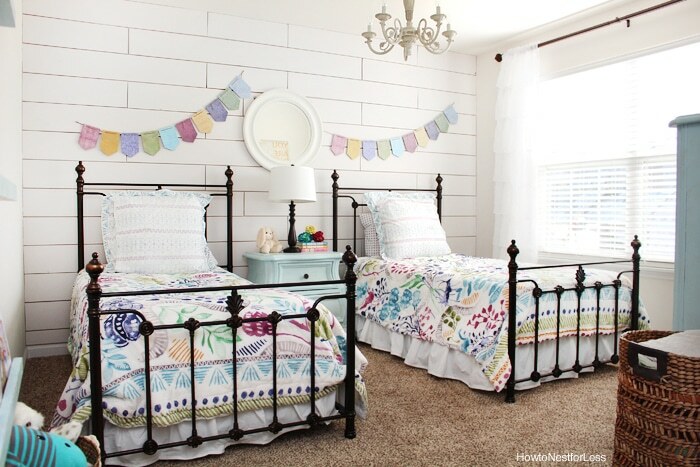 Those beds……SWOON! This room is absolutely adorable! I love everything about this room. The color palette is awesome, and I especially love the furniture. Such wonderful character! I’m sure she loves her room! This is so adorable! Every little touch just makes it all work perfectly. I bet your daughter loves it. This room definitely has the WOW factor! You have created the most soothing and cheerful space! Well done! If you are interested in joining in one more link party I would be happy to host you at Making Broken Beautiful. It is a home decor and furniture party. It runs every Thursday thru Sunday. You have a beautiful eye for style! I hope you have a great week! What a wonderful makeover. This room will work for any age with a change in accessories. I love that nightstand! The whole room is beautiful! Good work! Ellie’s room looks beautiful! 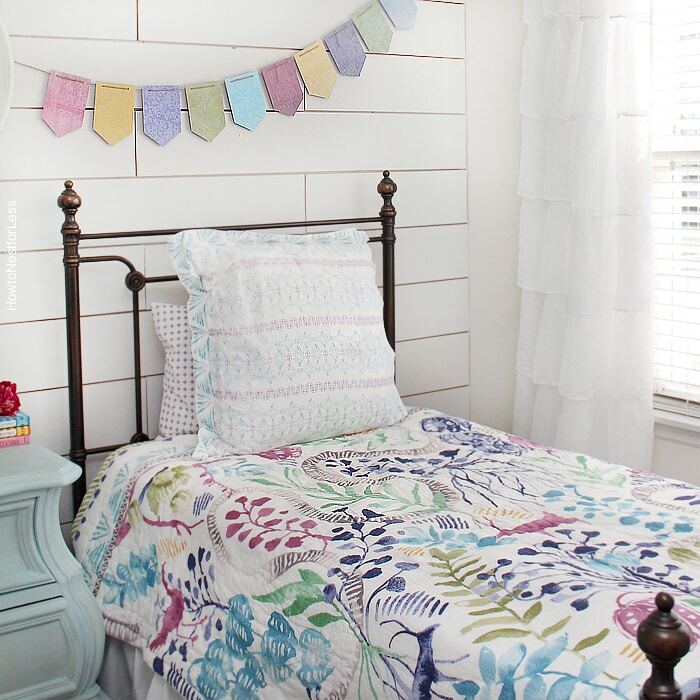 I love the flags above her bed, the HP quotes, those gorgeous quilts… so much goodness going on here 😉 Thanks for linking up with Merry Monday this week! What a beautiful space! Any little girl would be lucky to have that for her room. Too bad I only have three little boys 🙂 I would love it if you would come link up to Friday’s Furniture Fix Link Party this week and show off those lovely beds and dressers! 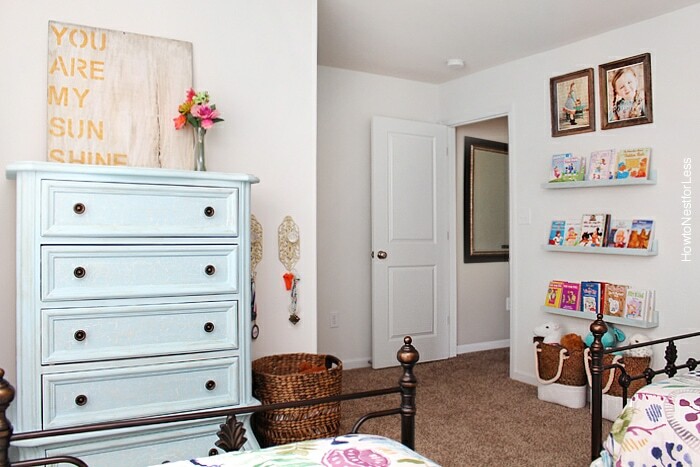 Super cute room and one she can grow in without having to redo. I’m loving the color and shape of the nightstand. Visiting from Moonlight and Mason Jars link party. Oh my gosh – what a stunning bedroom – and the lines of the furniture? YES ! I DO love them ! What a beautiful job – thanks for sharing ! Love this room! Such a nice mix of whites and color. The plank wall adds so much character. 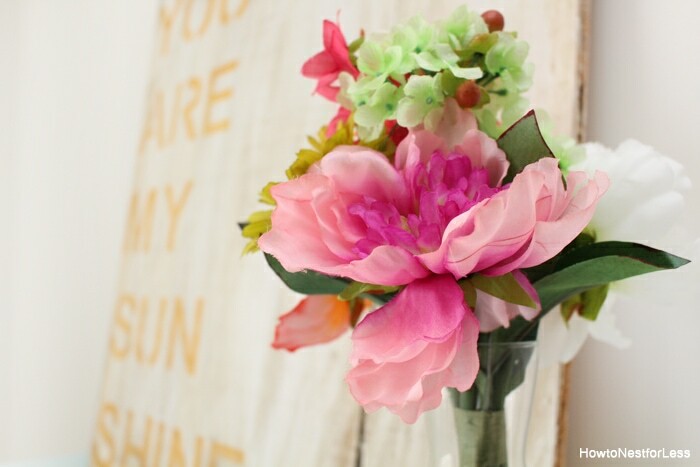 Thank you for linking to Share Your Style! This is such a gorgeous and happy room! Beautiful details all around! Oh my goodness, STUNNING! 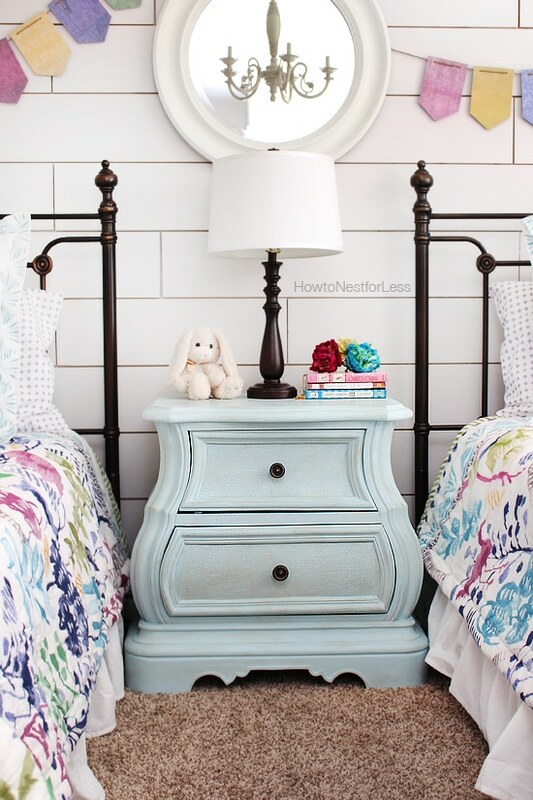 Love the plank wall, the colors, and all that awesome nightstand! Beautifully done! 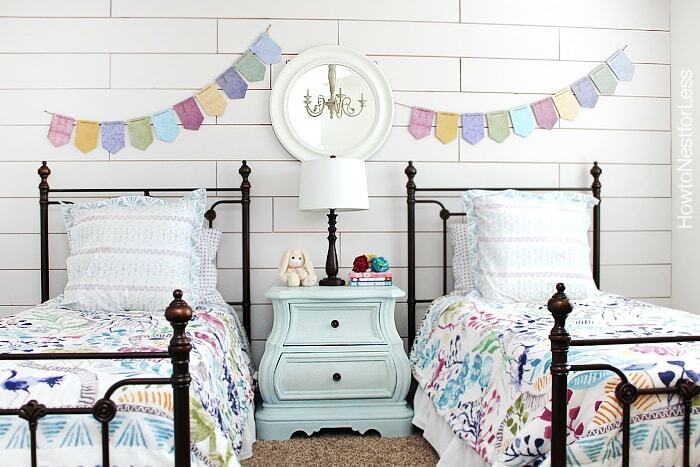 Love love love this darling room!! Completely caught my eye at link parties and drew me right in to your style! I want to personally invite you to link up at a link party I have with a few gals. I would love the chance to feature you! It is on Thursdays at http://tidbits-cami.com – if you are interested! Thanks so much for the kind words, and thanks for hosting! Love the room!! Where did you get her desk & chair? Thx. The desk was my husband’s as a young boy and the chair was a find from Goodwill. You can find makeovers for both on my site! This bedroom is absolutely gorgeous, you did an amazing job! I would love to feature you at our link party, Create • Share • Inspire next week if you were interested in linking up. What a precious room. Ellie is a lucky girl. 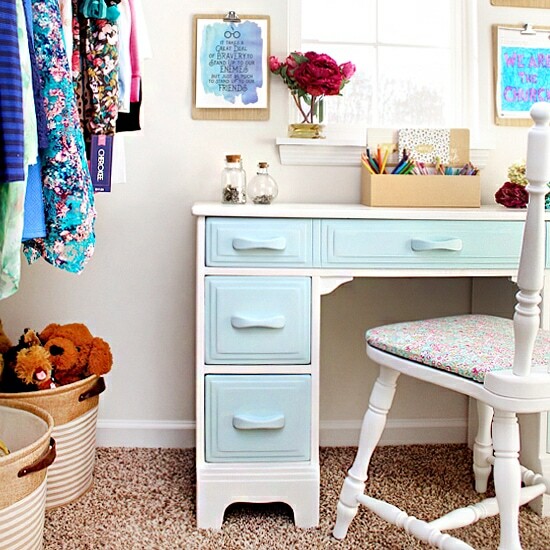 The nightstand and dress are an awesome blue and love the wall. Great job. Hey Erin! I ADORE this room so much! I just sent you an email about being featured on Remodelaholic, but my emails sometimes get caught in spam filters so I wanted to leave a comment, too. Hopefully it comes through, but if not, drop me a line at hello@remodelaholic.com please. Thanks! Beautiful!! What color is soft blue paint on furniture please? It’s called Nottaway by Amy Howard. You can get it at Ace Hardware! I absolutely adore the room make-over! I especially loved the beds and know they were purchased at Joss&Main but I could not find them on the website. Is there a special name for the style? Also, does the bed come in Queen? Thanks again for sharing and giving us some wonderful ideas. I’m sorry, but I can’t find it anywhere! I spent the last 30 minutes trying to track it down from various websites but it seems it’s sold out everywhere. I’ll let you know if I do come across it!! Wow!! The bedroom is so beautiful that I can’t move my eyes! 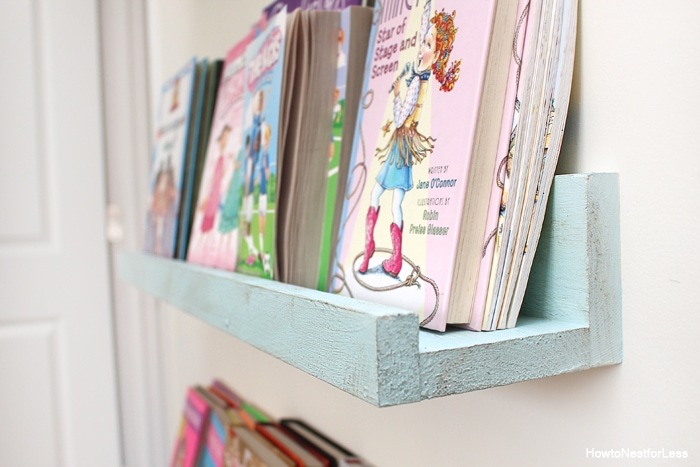 What a great DIY idea! Will try to make my bedroom exactly like yours for sure. Wish me a good luck!